Find bulk beef jerky near you!Premium gourmet beef jerky in Long Beach – B.U.L.K Beef Jerky - The Best Jerky in the USA. Watch the video to take a tour of our new tasting room in Long Beach, California. This is B.U.L.K’s third. Here is a quick tour of the retail location. We are excited to support and be a part of the Long Beach community. How many more beef jerky tasting rooms are you going to open? Things have been just falling into our laps and have been ready to seize the opportunity. We plan on opening more tasting rooms across the states. We see the value we can bring to communities and see a need for handcrafted jerky easy to access. 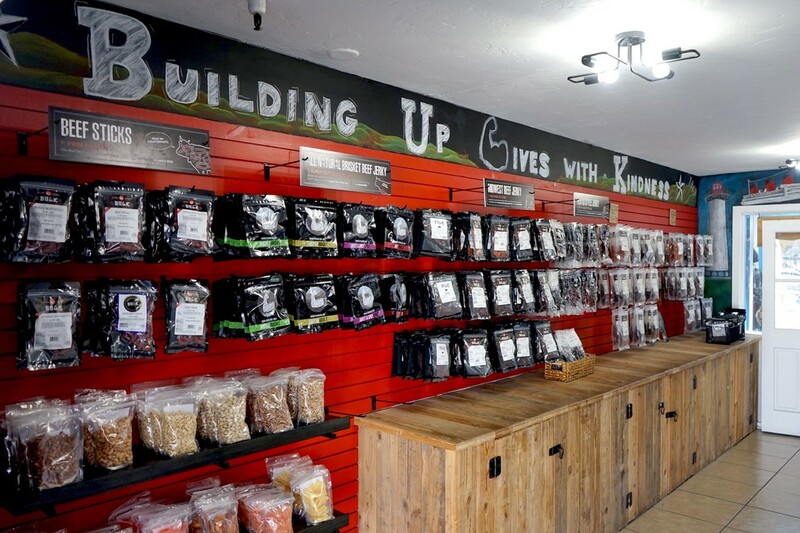 Where do you see your next beef jerky outlet? We see us moving into Los Angeles. We have great interest there. Do you have the best beef jerky? Hands down we have the best beef jerky! We have over 2,500+ five star reviews and that number is continuing to grow. Ask our B.U.L.K Fam! How do you have so many beef jerky recipes? Years of formulating, seeking, and testing. This did not just happen overnight. We work with chefs across the states and manufacture the products ourselves. We will strive to bring you the best beef jerky experience. Stay tuned for what's to come, we have a lot of updates underway. Let us know what you think in the comments below.